Your primary care physician is someone with whom you should feel comfortable, so you can ask questions, get recommendations, and seek guidance for your health and the health of your family. But selecting one is not an easy decision. Here's is a list of questions to ask and things to consider before making your choice. Are they taking new patients? Though a doctor may be in-network, they may not be taking new patients. Solving that problem can be done in one of two ways: calling the doctor's office, or visiting an online site like Zocdoc.com. Zocdoc is similar to Yelp, in that it lists doctors and practices with reviews from patients, but it goes a step further in helping you find in-network doctors that are accepting new patients, and allows you to schedule appointments through the app. Though a doctor may not be listed on Zocdoc, they may still be taking new patients, so even if you don't see a doctor you're interested in on there, you should still contact them directly to inquire. What extra services do they offer? If you live in an area that has a competitive market, you may find that doctors offer extra services that are free or have a reduced rate. In New York City, I've found a number of doctors offering free telemedicine — conducting medical appointments over video chat — and will take questions by email from patients much more frequently than they used to. I've also found that many of them are offering more workshops and information sessions about different health topics that are free to patients and their family members. These extra services can make a world of difference. Our immune system doesn't always break down between the house of 9 a.m. and 5 p.m., Monday through Friday. Often we need care on the weekends or in the evenings. If you need that added flexibility in your schedule, check to see if a doctor's office has coverage during non-traditonal hours. Who else is a part of the practice? Because health care needs are growing more complex, many doctors' offices have additional medical staff (sometimes part-time, sometimes full-time) who are specialists in their fields. This can include an OB-GYN, allergist, dermatologist, pediatrician, and a variety of other specialists. Having all of these specialties in one practice provides a more inclusive level of care for patients and gives your primary care physician a greater understanding of your overall health. Are they affiliated with a specific hospital? If you have a hospital preference, it's important to check a doctor's affiliations. Many times their affiliation will impact which hospital you can go to if needed, and that's something you want to know before any hospital visits. What do other patients say about the practice? Patient reviews are also something to consider when choosing a practice. Zocdoc, Yelp, and Google Reviews are good places to check for reviews on the doctors, staff, and the practice. "The first wealth is health," said Ralph Waldo Emerson. 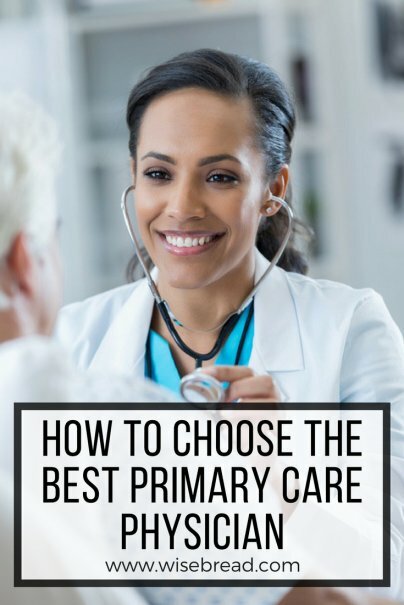 Though it can seem time-consuming to choose a primary care physician, it is well worth the investment. Your primary care physician is your front-line partner in your health, and it's not a decision to be taken lightly.